TTN pure sine wave inverter Smart-3000W offering superior quality true sine wave output, it is designed to operate popular power tools and sensitive loads. 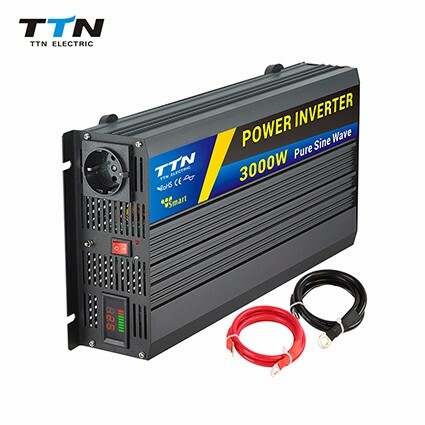 Connect TTN Smart-3000W pure sine wave inverter with battery terninals, then you can get AC power for your appliances, the AC output identical to, and in some cases better than the power supplied by your utility. 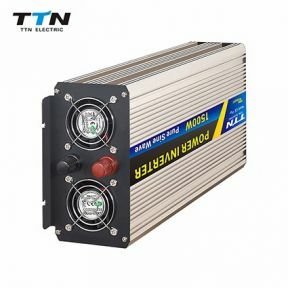 - High Surge: high surge current capability starts difficult loads such as TVs,camps,motors and other inductive loads. 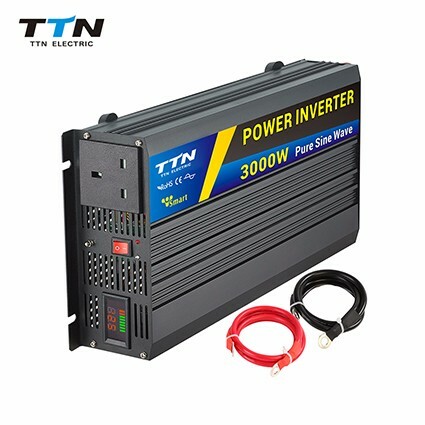 - Grounding Protection: there is terminal in front panel, you can grouding the inverter. 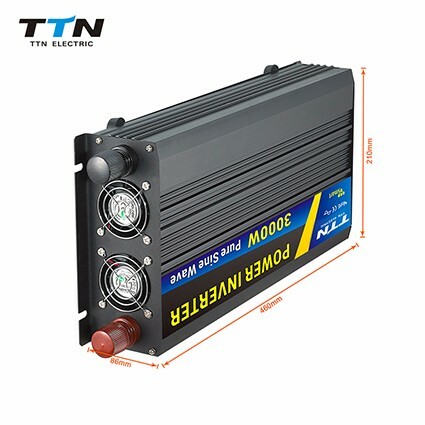 - Pure sine wave output waveform: clean power for sensitive loads. 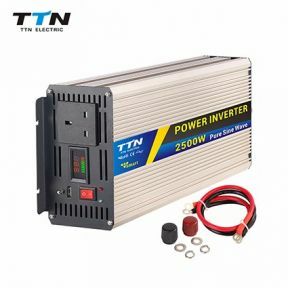 - AC output identical to, and in some cases better than the power supplied by your utility. 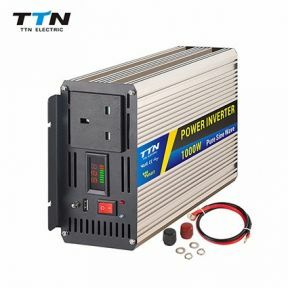 - Cooling fan works automatically when inverter becomes too hot, it turns off automatically when the temperature is reduced. - Two LED indicators on the front panel showthe working and failure state.